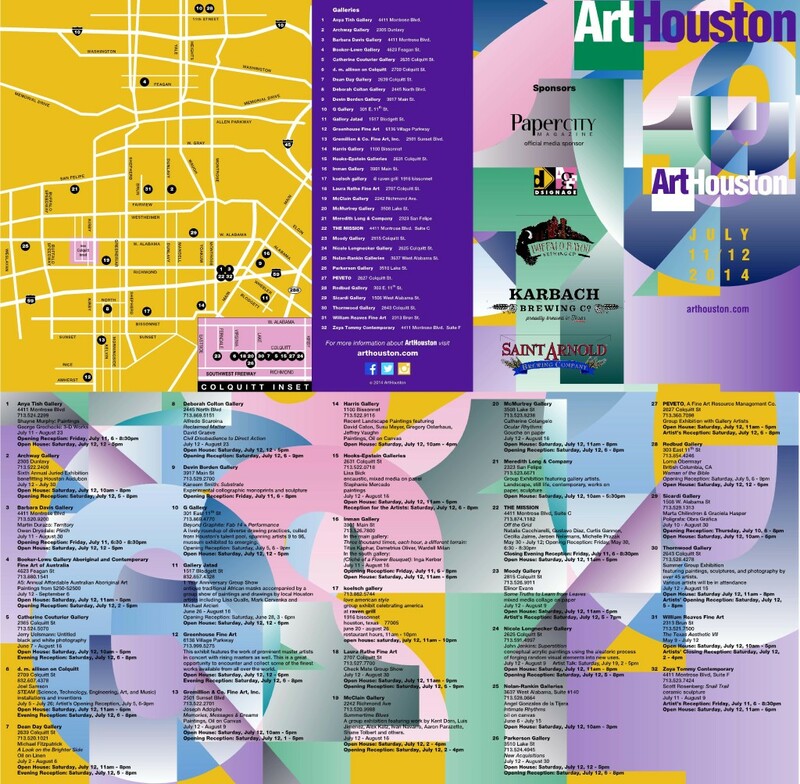 Founded in 1979 as “Introductions” and changed to “ArtHouston” in 1998, ArtHouston has grown from a twelve gallery art-walk to an almost city-wide exhibition of talent. This year, we are excited to announce participation from over 30 local galleries, all hosting events Friday, July 11th – Saturday, July 12th, 2014. Please check the ArtHouston Event Guide for gallery event details. A wide range of fine art will be on display, from realist to abstract paintings, sculpture to mixed media constructions, drawings and works on paper, collage and photography. Featured artists will be both emerging regional talents and established artists from around the world. As always, these events are free and open to the public. All participating galleries will have event and gallery guides at their locations, or check back here for event information! Please email us at info@arthouston.com if you would like to learn more about becoming a part of ArtHouston.